Have taken my Mini for service three times here and no complaints. Competitive pricing &, knowledgeable. I have been servicing my cars here for over 10 years. Service is great and the price is right! Honest, reliable, fast...been going to them for years. They are the best. These guys know BMW's inside out. They are absolutely fair and honest, which is truly a relief when you are dealing with car issues. I've gone to them (Jim and Dmitry) for over a decade and they have always found and fixed the problem quickly and efficiently. If you have a BMW (or Mercedes) this is the service shop for you. Owner is a scammer. These reviews must have been paid for because this was the WORST experience I ever had at a mechanic shop. Car owners beware! Top Rated MINI Repair Shop in Sherman Oaks & Nearby Areas Since 1973! Over the years no vehicle has surprised drivers quite like MINI. With cars like the Cooper and Countryman, drivers are able to get European-made vehicles that offer the same performance and comfort but with an added emphasis on handling and maneuverability. MINI’s are known for being more responsive with sharper turning and handling capabilities as you can feel closer to the roads and make each drive more enjoyable than just a simple commute. That said, with such an emphasis on performance it is even easier to recognize when something feels off or begins acting less responsive than usual. If your MINI is beginning to experience issues then it may be time to call BMW Mercedes Service. 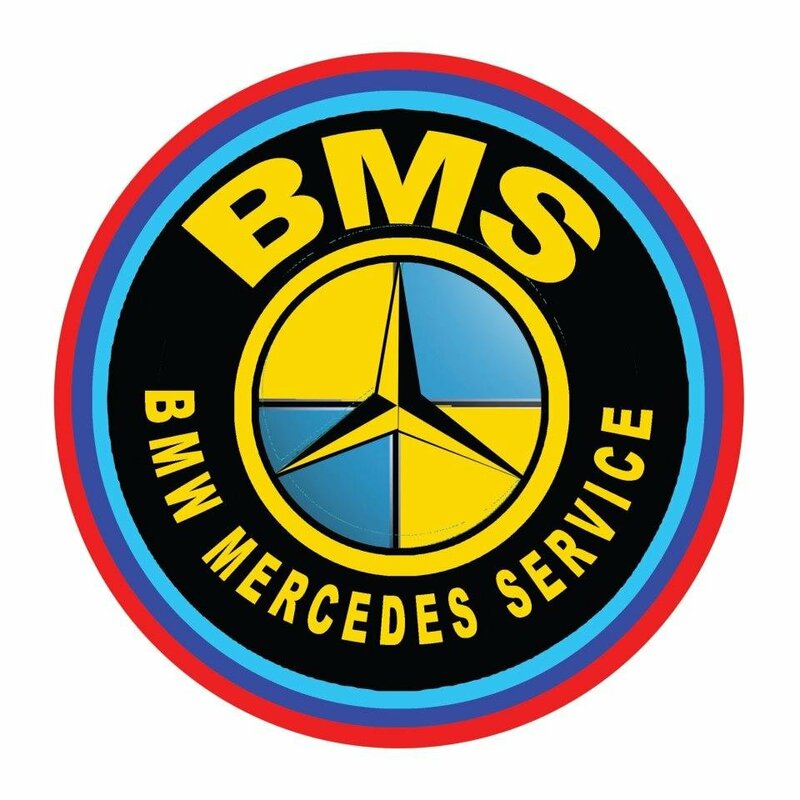 When you choose BMW Mercedes Service you will not only get dealership quality service but much more. Our commitment to customer service makes sure that your experience is more personal than a dealership while making it more affordable to get the service your MINI needs. We also provide a convenient complimentary pick-up and delivery service so that following the routine maintenance for your car is even easier as you won’t have to spend all day sitting at the dealership waiting. If you are in the Sherman Oaks, CA area and would like to schedule an appointment for service or maintenance with one of our experts please call BMW Mercedes Service today. We are here to help and offer a friendly alternative to dealerships that will get your MINI the service it needs to continue running as you need it to. *Note: The above descriptions are for informational purposes only. Actual services performed may vary. Check power steering system for leaks. Change engine oil and filter while engine is at normal operating temperature. Visually check fuel tank, lines and connection for leaks. Check steering for absence of play, condition of suspension track rods, front axle joints, steering linkage and joint disc. Inspect front and rear disc brake pads, check overall thickness. Examine brake disc surfaces. Check brake system connections and lines for leaks, damage and incorrect positioning. Check all tire pressures (including spare). Correct if necessary. Check condition of tires (outer surfaces, left/right), tread wear. A Vehicle Inspection, either for a new-to-you Mini Cooper, or to find any problems before your vehicle comes off of warranty, is a very detailed procedure. The technician follows a 3 page check list, grading each component and performing many individual tests. This document is designed to inform you of exactly what is performed as well as answer any questions you may have on the procedures followed. The Test drive is the first portion of that test, gauging vehicle performance, ability to start the engine, and general feel of the engine as far as sound and smoothness. Transmission operation and general functionality of your instruments, blinkers, washers, stereo and other items are tested on the test drive. Any odd sounds or vibrations are first detected on the test drive, which helps confirm if any suspension, drive train, or steering components are found defective during the visual inspection portion. Before the mostly visual portion of the inspection is a check of fluids. Each fluid is checked for proper level, condition, and any leaks, but in certain cases it is impossible to tell exactly where the fluids are leaking from; at this point the technician might recommend introducing DYE to the system which we could later scan for. The Coolant system is pressurized to 15lbs per square inch of pressure, which helps make any leaks in the system detectable. Hoses are also checked for any visible cracks or wear, which might indicate upcoming failures. The battery’s load capacity is tested, as well as the coolant’s capabilities to protect your car in the colder weather. Dark brake fluid or power steering fluid can indicate a vehicle which may need more service than previously believed. The visual inspection portion is next, where the brakes, suspension components, steering components, drive train components, exhaust system, and tyres are checked. Belts are inspected for cracks, and easily accessible filters are checked for cleanliness. Body and paint work is inspected for possible repair, corrosion on the under carriage, all mounts and wear items are rated for condition. Any notes the technician has on the vehicle are added, things which might need attention but do not have a specific location on the inspection form, and an overall grading of the vehicle is given. Once the inspection is completed, the service advisor will compose an estimate for recommended repairs on the vehicle. If you have any questions with regards to this process, please contact your service advisor. Our Coolant Flush Service consists of completely draining and refilling your entire cooling system with a new 50/50 mix of a coolant and distilled water. A full drain includes the engine block, the radiator and the heater core and the passages between. Anything less than that is incomplete and is not 100% effective. The regularity of this service, every 2 years, is based on age rather than condition. For those that have gone over the typical time period for flushing the coolant, there are several problems that arise. One of the more damaging side effects of irregular coolant flushes is high silicate drop-out. This scary sounding problem describes the sludge that forms in a cooling system. This sludge hardens and clogs the radiator, the heater core and the passages throughout the system, drastically decreasing it’s ability to function. Also, coolant breaks down over time. The pH level can become more acidic and begin to eat away at the different metals in the engine, such as the metals in the gaskets, various seals and the aluminum in the cylinder head and to a lesser extent, the cast iron block. Some Mini Cooper motors have aluminum blocks which don’t respond well to high acidity levels. Typical problems at this point are radiator, heater core or head gasket leaks. Over time, the performance of coolant also begins to degrade. The range of temperatures it will protect against decreases. If the protection levels falls low enough, in winter conditions the coolant can freeze which can crack your block. Or alternately, a car can overheat in the hot weather. If you’re not sure or can’t remember when your coolant was last flushed, it would be a good idea to contact one of our service advisors. The most common times to have this service done are early Fall or Spring, right before winter temperatures and the heat of summer. Our Brake Fluid Flush Service consists of completely draining your fluid and replacing it with a new DOT fluid. The regular service interval for a brake fluid flush is 2 years. This interval is accelerated for cars that see the track or racecars. There are a couple of common reasons to flush your brake fluid regularly contamination and age. Brake fluid is hydroscopic, it absorbs water, and water saturation decreases the boiling point of the fluid. Under hard braking a tremendous amount of heat is generated from the friction of the pad and rotor contact. This heat can cause your brake fluid to actually boil within your brake lines. When the brake fluid boils, it creates air pockets within your brake lines. This causes problems because air compresses under pressure(say from pushing down the brake pedal). This causes a mushy pedal and reduction in braking ability. Brake fluid is used in braking systems because it doesn’t compress. There are many ways for moisture to enter your brake system. Condensation from regular use, washing the vehicle and humidity are the most common. Most of this is unavoidable because the brake fluid reservoir needs to be open to the atmosphere. It has a small hole in order to avoid a vacuum being created by the brake pads wearing down. Performance cars, or any car has been on the track, should be flushed yearly or as needed. Aside from the usual flushing, brake bleeding is generally necessary because it removes the air that builds up when the fluid boils. Stainless steel brake lines do help maintain braking while on track for extended periods of time but bleeding the system is recommended after track events. It is very important to put the correct type of fluid in because other fluids, whether added on accident or not, can cause the seals to swell and can destroy the rubber in the system. The rubber is what holds the fluid in. Using the wrong fluid in your braking system can cause catastrophic brake failure. Ever seen a movie where the brake lines were cut?? Not pretty. We use only DOT 4 brake fluids, either Motul RBF 600 for performance applications or Castrol GTX for everyday driving. Your transmission is one of the major components of your Mini Cooper. Whether it is automatic or manually shifted, it is an absolutely critical component in putting your Mini Coopers power down to the road. Maintenance of your transmission is equally important for the heath of your Mini Cooper. For manual transmission equipped Mini Coopers, there is no filter and no pump, the fluid is circulated by the gears of the transmission. Automatic transmissions will also produce more heat than a manual. Manual transmissions do not require a full service and do not have a computer to store fault codes, but the fluid still needs to be replaced at regular intervals. Strictly Mini Cooper feels that it is very important to change the fluid and or in your transmission. Every 30,000-60,000 miles (depending on year and model, please see your service advisor for details) it is a good idea to have the fluid replaced, we have a fluid that meets or exceeds all of the chemical requirements of the factory Lifetime Fluid. Automatic transmission cars require full services to be performed, which includes replacement of the transmission oil filter and the pan gasket. On certain transmissions (again, please see your service advisor), there are two oil pans, one of which is not normally removed for a service, but may be recommended, depending on how long it has been since the last service. Automatic transmissions require a very specific operating temperature for the fluid to be changed, as well as a very specific fill range of fluid. Every 30,000-60,000 miles (depending on year and model, please see your service advisor for details) it is a good idea to have the transmission service, we have a fluid that meets or exceeds all of the chemical requirements of the factory Lifetime Fluid. The most critical safety system of any vehicle is its braking system, a malfunction of the braking system could lead to accidents, injury, or worse. Mini Coopers are generally accepted as having superior stopping power over other vehicles in their class, and it is important to make sure that is maintaned. For normal brake replacements, expect to have your pads, rotors, and wear sensor replaced each time. When your vehicle alerts you to “Check brake linings” or the small circle with three dash marks on either side appears, its time for either front, rear or both sets of brakes. During this procedure we will replace your brake components and apply anti squeal compound to the brake pads, so that while they bed in they will make the least amount of noise possible. We also begin the bed in procedure on our test drive, where we ensure that your brakes are functioning properly. The driving force behind your braking system is its fluid, which is the fluid that has the most demand placed on it, operating at temperatures much higher than your engine oil. Standard brake fluids will absorm moisture over time, and after approximately two years it will have collected enough moisture to warrant replacement. This moisture is dangerous for multiple reasons, for one reason it reduces the boiling point of the fluid (which should already be in excess of 500ºf), as well as it can corrode or rust the metal components of your brake calipers and Anitlock Braking System Pump. Consult your Service Advisor to have your brake fluid replaced while your vehicle is in for service. We service and repair all types of car air conditioning systems. Mini Repair received 4.5 stars out of 5 based on 60 reviews on Yelp.